Last Sunday, I met another champion thanks to my own carelessness. I was supposed to skate in the second morning scrimmage, along side some derby legends like Carmen Getsome and Quadzilla, but forgot my mouth guard. So I hit the gym for a consolation workout. There in the hotel weightroom were two Sacred City players, Ariel Thurman and Allison Dickson (above), who skates as Gnar Gnar Jinx, already on the move. Hell, it was barely 9:30 A.M. but that didn’t stop them from firing up with light weights, squats, playing medicine ball catch. It must have worked, as Sacred City beat Nashville, Sunday, to lift the Division 2 Championship Cup. Even doing pushups and squats, Gnar Gnar was all smiles. So, we had a pretty big game last Sunday. Yes, we played against Nashville in the WFTDA D2 Championship game. We had played them previously at Playoffs in Detroit, so, it turned out to be a rematch. After losing last time by five points, we really pushed ourselves to prepare for Champs. Our mantra, when things got tough, was “five points.” Often, at practice during a tough endurance practice, you would hear one of us yell out, “five points!” and the fire would be reignited. And, did we win? Oh, yes. Well, it was a tough mental game for me, personally. Coming back after being ejected during Friday’s game against Kansas City for an egregious direction of game play proved to be mentally trying, but we all really came together, focused on playing our game, working our strategies, and executing our plays, all while playing the cleanest game we could, and I feel like we all did that very successfully and it showed in the final score. Nashville is a strong contender and a great team, but we came out controlled, focused, and incredibly hungry for that win. Winning it all was our goal, but to get there last weekend we focused on our game, worked on penalty and time management, and fine-tuned our strategies and plays. Basically, we stayed driven and kept sight of the main goal. In roller derby, teammates are everything. This is my first season with Sacred. Ariel LA Twister and I drive 2 hours every practice night from our homes in Northern California. It’s a huge commitment we decided to make together and I’m immensely in love with our decision. It has been such an honor to share the track with skaters I have looked up to for so many years. 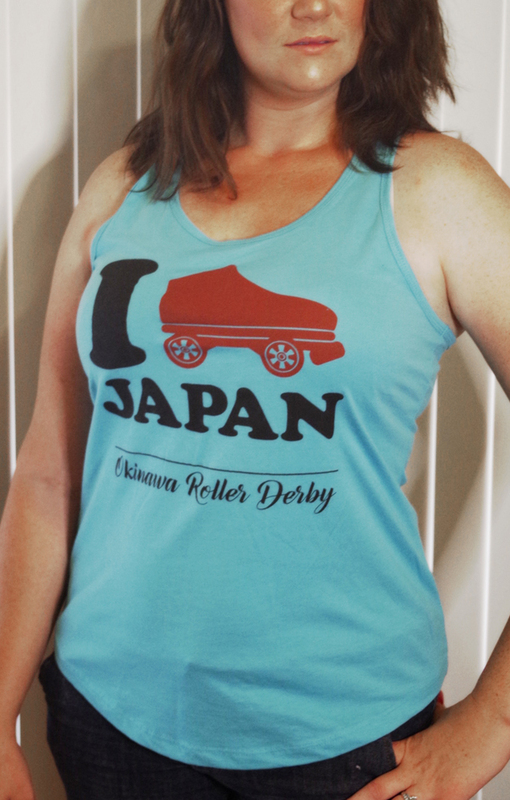 Coming from a small league in Ukiah, Ca., I watched Sacred and idolized so many of their skaters…I still don’t think The 4closer has any idea what a fangirl I am for her. Some nights at practice, I zone out with a goofy grin on my face, just super stoked to be surrounded by so many talented skaters that continue to teach me so much every day. I’m grateful for the opportunity to play teams that make me push myself to be a better athlete and incredibly thankful to be surrounded by teammates that continually lift one another up; they aren’t just my teammates, they are my family. Derby is not just skating and hits. It’s a mental game. Oh man, this is so HUGE to me. Mental game is like 90% of being a successful athlete. I am a huge proprietor of meditation before games, focusing on what I WILL do and never what I will not, and just being mentally tough and prepared. I’ve been teased for my warm-ups, because it looks like I’m playing derby by myself, but I totally am; I’m playing the game in my head so that the second that whistle blows there are no surprises, I’ve already been there, and I’ve been successful…confident, cool, calm, and collected. There are still days, *cough Kansas City cough* where I feel totally unconfident and like I’ve let myself and my team down, but I can only continue strive to be better than the person I was yesterday, never competing with anyone but myself. That all might sound incredibly cheesy, but hey, it works for me! Did I hit the gym the morning of the final? Busted. I had a lot on my mind and needed to work it out. My partner in crime, Ariel LA Twister, and I did a light workout, making sure to hit all of the muscles, waking them up with some light lifting and mobility. I workout 5-6 days a week and can honestly say that it’s saved me from injury. We take some hard hits and falls and I know that without my workouts, I would have sustained some definite injuries. It seems silly to not workout outside of practice, I mean, we are athletes, we should act like it. Outside roller derby, I’m really into fitness, but, just recently I’ve been setting myself some new goals (shoutout to ALL of the Angel City Derby Girls for being such a “fitspiration”). I really want to push my body to new limits and see how “beast” I can get, naturally, of course. It’s funny, because when you tell people you are into bodybuilding or just lifting heavy, they instantly think steroids, but really, I just want to see what my body is capable of doing. It’s exciting and somewhat addicting to see the changes your body makes. My foundation is just getting stronger and stronger, and man, that feels AWESOME out on the track. I don’t have time for much else. When I’m not working out, I’m hanging out with my pet chicken, Lady Gaga, my three dogs, and my crazy cat. What keeps me so in love with derby is growing as an athlete, learning new things, spending time with my derby family, and meeting all of the amazing people involved in this incredible sport. I started in 2010, literally crawling my way around the skating rink. I was even told that I should just quit, because, clearly, it just wasn’t for me, but that just motivated me to push even harder and I’m so thankful that I never gave up. I still have so much to learn, and, with a sport that is ever evolving, there’s never a dull moment.